Double LP set in Gatefold packaging with OBI strip and a Liner Note Booklet with artwork for each song, behind the scenes info with the original artists and Kickstarter backer names. Translucent Red = 500 copies. 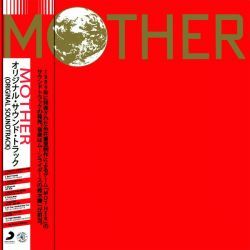 blip blop - Now Playing: "MOTHER (Original Soundtrack)" Modern Vinyl: "VINYL REVIEW: MOTHER OST"